If you love winter and sledge, it's time to try a summer version of sledding. 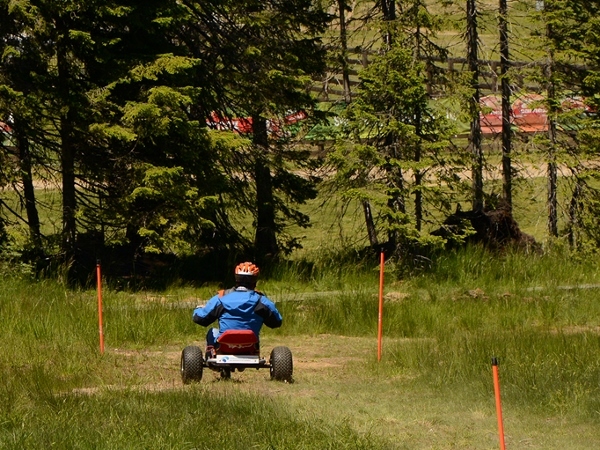 Mountaincart is the three wheelers vehicle which allows unique adrenalin experience of driving on a specially prepared track kopaoničkoj length of 1.5 km. Three wheels, brakes, helmets and a good time is guaranteed! This kind of new adrenaline content in Kopaonik is represented in more than 10 countries in Europe and tried by over a million amused tourists. - High-quality aluminum construction allows easy handling and transportation by cable car. Such constructions enabled both driving experience virtually all individuals - from the athletes and young people through families with children up to the veterans. 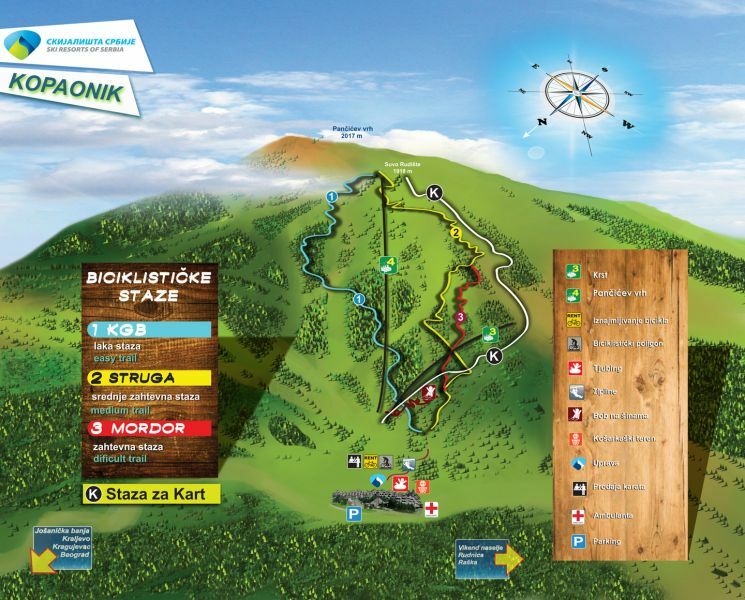 Experience a Mountaincart driving pleasure on the slopes of Kopaonik! Mountain cart you can use from Thursday to Sunday from 10 am to 17 pm.